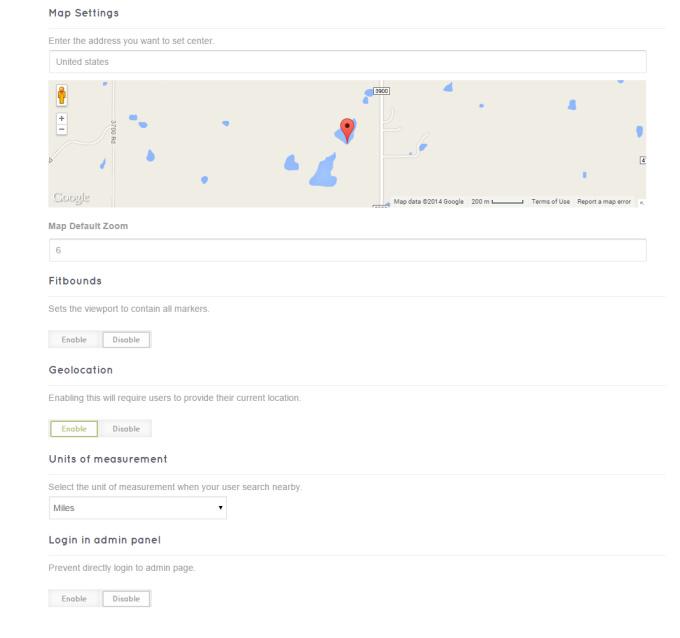 Admins can decide if the place can be claimable or not in their admin panel. 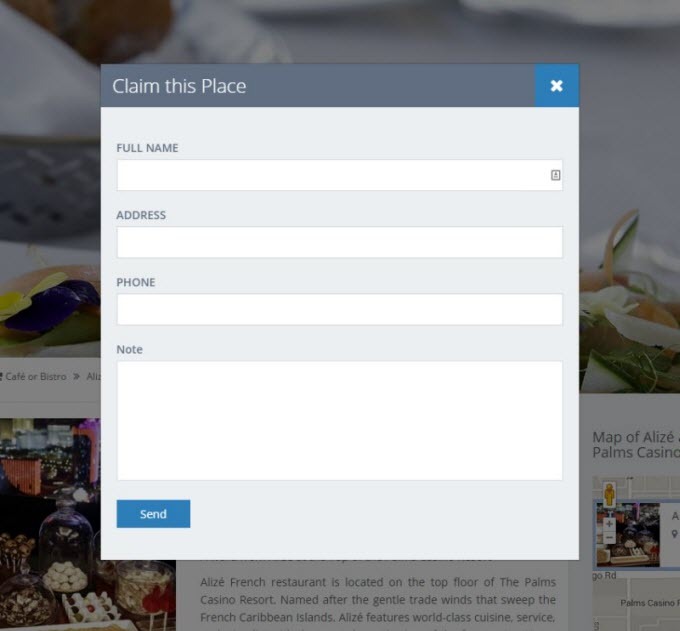 In each place’s details, you can find the option “Claim Request”, once enabling this option, the place is officially claimable, users then can easily mark their places. As usual, they have to login first to use this feature. 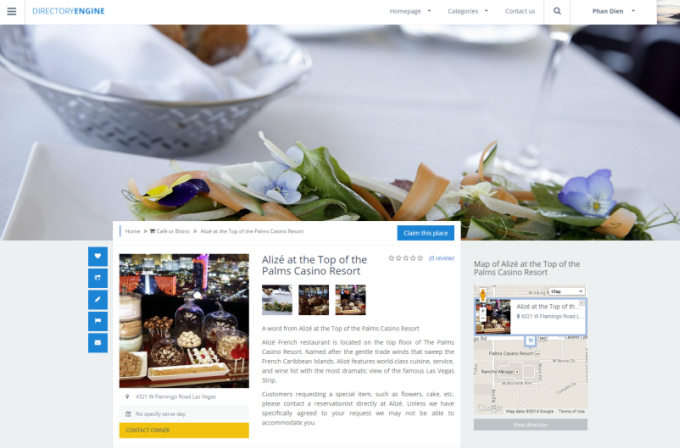 When they find a listing that they want to claim, they can click the “Claim this place” button in the place’s details and provide some information. These information can be considered as a proof of the owner, based on these provided info, admins can start their verify process. To support admins in this process, whenever there’s a request, an email notification will be sent to them. After consideration, they can decide to approve or reject the claim request and no matter what the result is, users will also receive a notification. 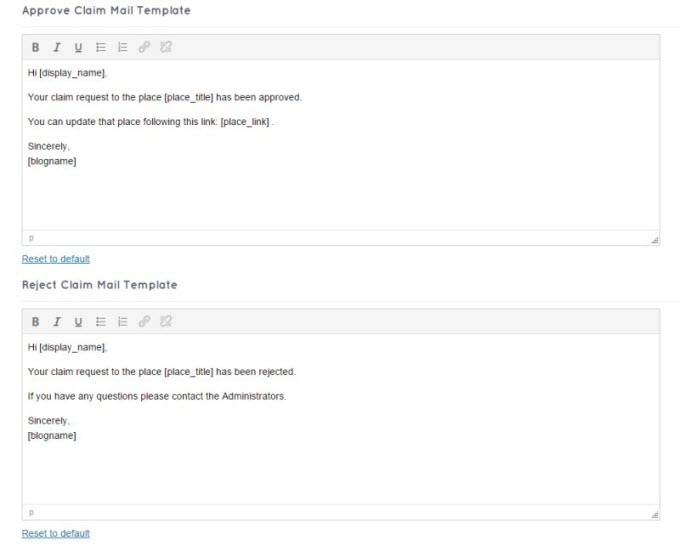 To approve the claim, at the Admin Dashboard, go to Places > All Places. Then, select a specific page. In that page, find Author and change the name of the author of the place. For some basic customization, especially the color of the site, you can use the WordPress customize. Choose Appearance > Customize.